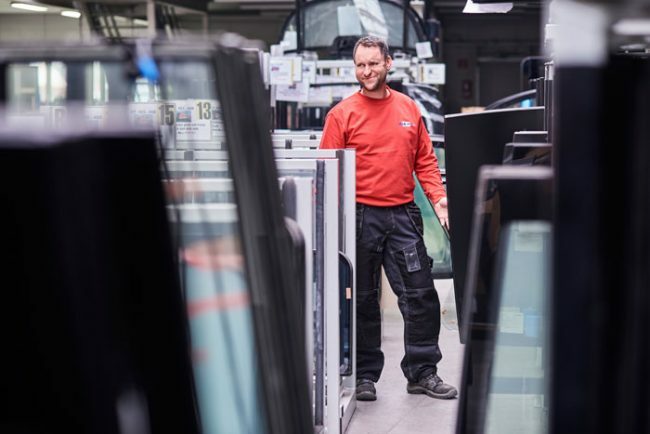 Our core business is glazing for railway vehicles: We deliver special panes to all well-known public and private transport services in Germany as well as in European countries. We are specialised in joint renovation, inspections, restructuring and periodical maintenance. Customers in Europe and overseas appreciate our technical competence and professionalism. 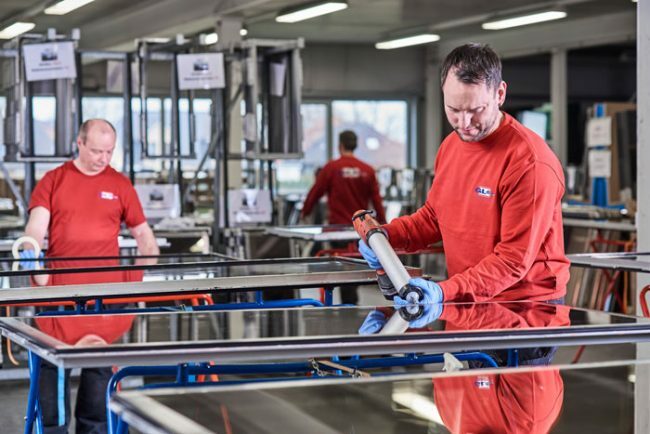 We maintain Europe’s largest glass warehouse for railways with a Same-Day-Delivery and an immediate assembly. 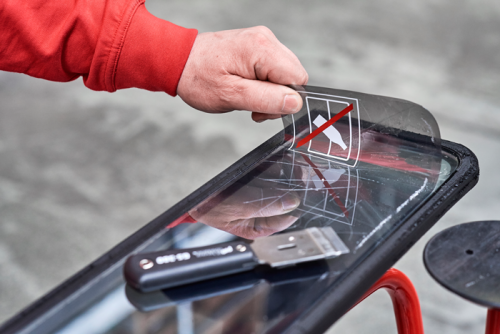 For yourself-assembly, all pane adhesives and primers will be supplied as well. We store all kind of panes for trains and railway companies in the largest warehouse of Europe: from windshields and side-windows to special panes like emergency exit windows. We assemble front and side glazing for rail vehicles. Our range of services includes "just in time" delivery and installation on site, even in short time. Our service is available for you round the clock and on 365 days a year. We operate on-call with our fully equipped rolling service vehicles. Due to our skilled work we can ensure the train will get back into operation at least within six hours. We offer professional restoration and/or repair of damaged bow masks, sandwich panels or splashboards by our trained stuff. We offer invisible scratch protection films for your vehicles. These protect windows for vandalism and other unexpected influences. Our sun protection films keep heat noticeably and protect from UV-rays. 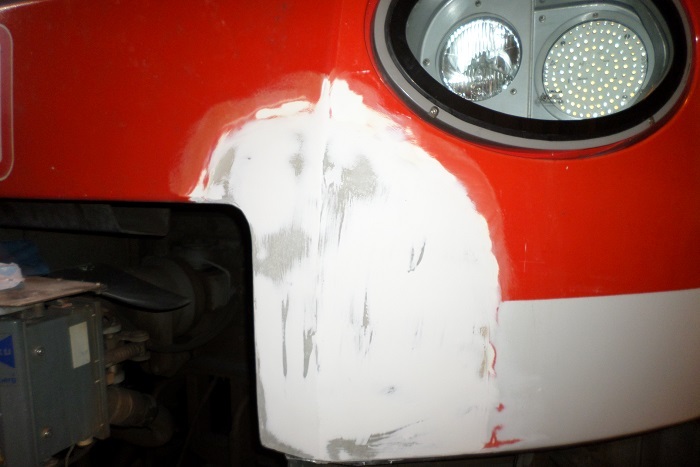 After the refurbishment of the GRP, our paint experts will take over the painting of your vehicle. Therefor we use approved coating systems from the rail industry. 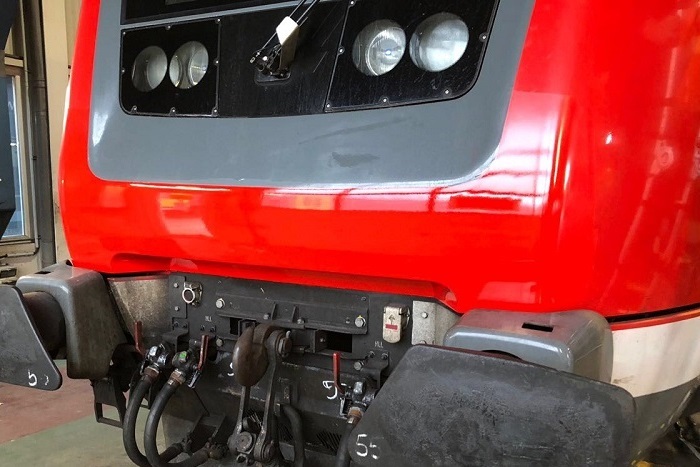 Wherever trains are running you can rely on the rapidity and flexibility, the full-service and competence and at least on the passion for railway vehicles of GL Spezialverglasung. In 99 percent of all repair missions we are successful within 24 hours. In general, we replace damaged glasses immediately. Usually your train will get ready for use within six hours after installation. 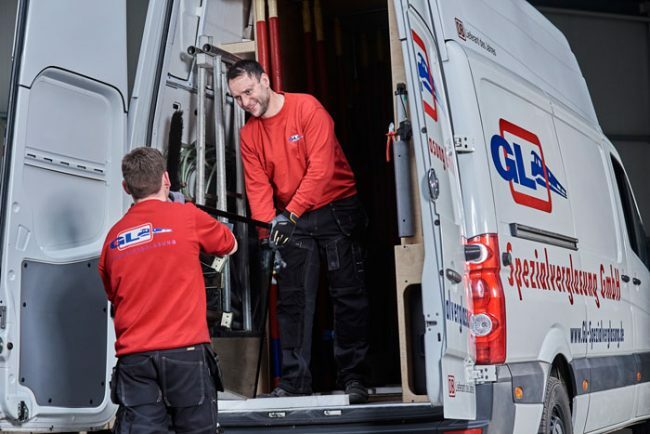 Because of our service stations spread over Germany and Austria we are close by for an immediate deliver or installation in Germany and the neighbouring European countries. Over 70 service vehicles are perfectly equipped for mobile use. Each car is a rolling workshop accompanied by high-qualified specialists, who guarantee a reliable solution with a prime quality. Wheresoever you need us - our high-qualified and motivated employees are available for you and on the spot at any time. We have been working with GL Spezialverglasung GmbH for a very long time. GL is a reliable and helpful partner, who is quick to help even in difficult and spontaneous cases. GL Spezialverglasung has been a reliable partner of ODIG mbH for many years. We appreciate the fast and flexible service for repairing damage on our vehicles. I can say that GL Spezialverglasung is the most uncomplicated service provider in the railway sector for us!